A sequel to the Valve Software's best-selling game that set new standards for the FPS genre back in 1998. Half-Life 2 is set several years after the events of the first game. A sequel to the excellent FPS from 1998. This new title was created by the same team who gave us the first Half-Life, the Valve Software company. The script for Half-Life 2 was written by the creator of the original story – Marc Laidlaw. The PC version of the game primarily features a story-driven single player campaign, but also local and online multiplayer modes. Moreover, the developers provided a level editor, called Hammer, which allows for creation of mods and maps. 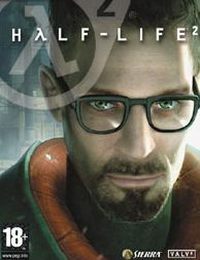 Gordon Freeman, the protagonist of the first Half-Life, reprises his role as the main character. This time the ex-employee of Black Mesa Labs visits City 17, where most of the story takes place. On the other side of the barricade we have Dr. Wallace Breen – a puppet governor of Earth, ruling under the authority of an alien, Combine, that took over control of our planet. A mysterious person, known as G-Man, tasks Dr. Freeman with overthrowing the invaders, in which he is aided by new allies: the Xen race (his former enemies from Half-Life) and Alyx Vance, a young woman fighting for the human resistance. The game takes you through a variety of locations in or near the City 17: sewers, suburbs, prison, harbor, etc. While traversing the game’s world you have to constantly fight different types of enemies, starting with your “old-friends” Headcrabs, all the way to Antlions and law enforcers. Just as you did before, you fight your opponents with a variety of weapons: a crowbar, revolver, shotgun, futuristic cross-bow, or the gravity gun. Half-Life 2 for PC, AND and XBX employs a new game engine, called Source, which generates not only 3D graphics, but also realistic physics. The technology introduces a certain degree of destructibility to the environments – many elements can be broken, destroyed or at least damaged. You can also use the in-game objects as either cover from enemy bullets or as weapons. Thanks to the ragdoll effect bodies of enemies fall down on the ground in a more realistic manner. Opponents are gifted with smart AI and are able to call in reinforcements, take cover, flank the player, etc.